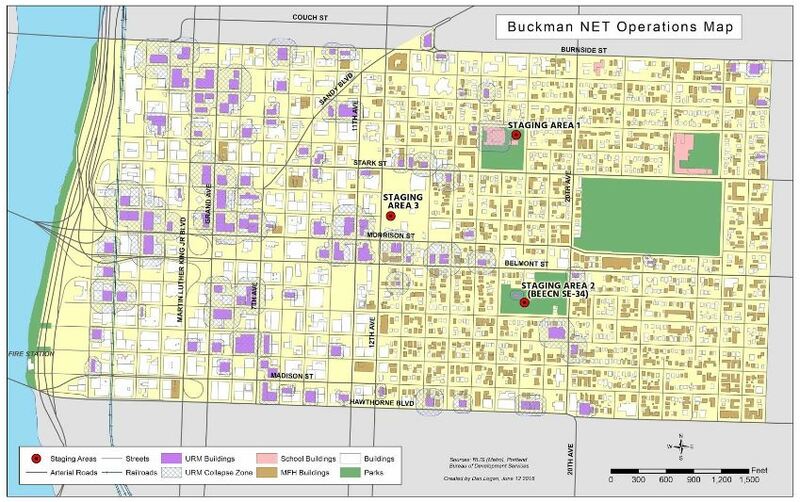 The Buckman NET meetings are the second Thursday of every month from 6pm to 7pm in the Multnomah County Office Building, 501 SE Hawthorne Blvd, Portland, OR 97214. We’ll be in room #126. We usually wrap up in time for NET members to attend the Buckman Community Association general meeting at 7pm in the Boardroom in the same building. Contact us with questions or to sign up for our email list.